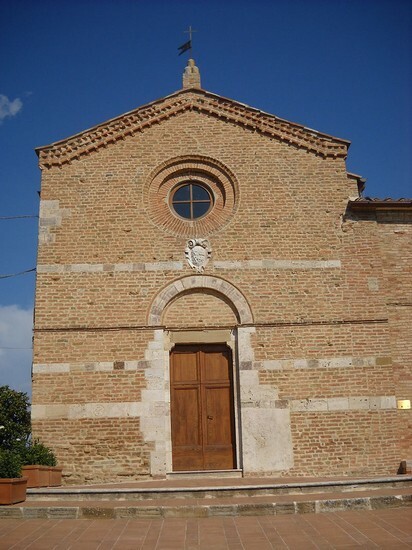 The Church of the Madonna delle Grazie was built North of the town of San Giovanni d’asso, along the road to Asciano, at the end of the sixteenth century. In 1816, Jerome Marsili, Rector of St. John the Baptist in San Giovanni d’asso, entrusted to Luigi Crocini reconstruction of the Chapel, being in ruinous condition. Reconstruction ended two years later, in 1818, and on 19 September 1819, the Church was consecrated. Damaged during the second world war, the damages were repaired after the war. In the 17th century the chapel was entrusted to the care of a President who had the task of making you celebrate mass every first Sunday of the month.